unglaubliche caitlin: what size is your cat? 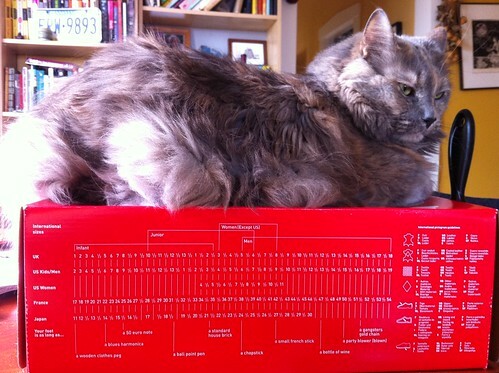 what size is your cat?, a photo by unglaubliche caitlin on Flickr. mine is longer than us men 19. wich is also considerably longer than a party blower or a gangster's gold chain.